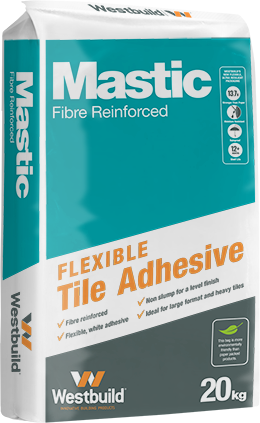 Westbuild tile adhesives include a complete range of cement-based, flexible, rubber-modified and high performance adhesives, suitable for all types of tiles in both commercial and residential installations. With well-known and industry trusted brands plus our ten year guarantee, you can be sure of ease of use and long-term performance with peace of mind. 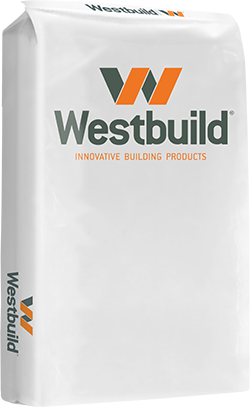 Westbuild’s adhesives exceed Australian Standards. 20kg bag - 56 bags per pallet (1.12t). FlexiPackTM Polyethylene (PE) packaging. Available exclusively at B&B hardware. 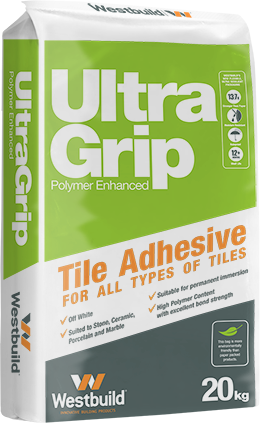 UltraGrip is polymer enhanced and is suitable for dense bodied and fully vitrified tile over sound substrates. 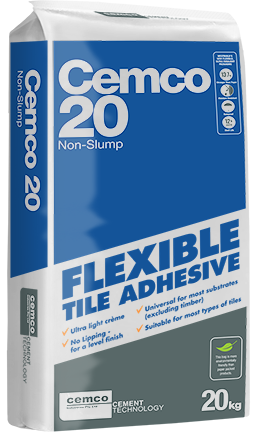 CEMCO 20 is an ultra light cream and economical tile adhesive suitable for most types of tiles. CEMCO 20 is a tradesmans choice adhesive. 20kg bag - 56 bags per pallet (1.2t). FlexiPackTM Polyethylene (PE) packaging. 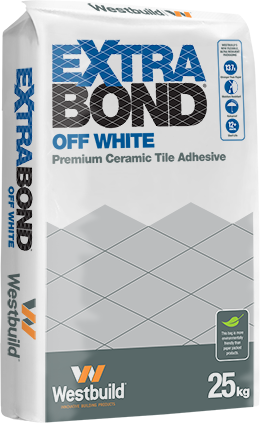 Extrabond is a premium quality product and has been specifically formulated to create an extra smooth and workable tile adhesive. 9.5kg DIY bag, with carry handle. 25kg bag - 40 bags per pallet (1.2t). FlexiPackTM Polyethylene (PE) packaging. 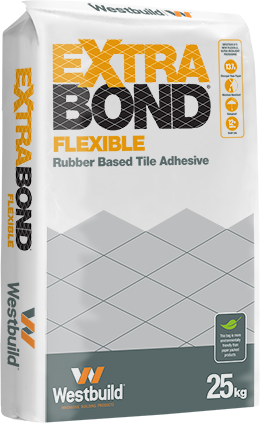 Extrabond Flexible is suitable for most substrates where slight movement is anticipated. 25kg bag - 40 bags per pallet (1t). FlexiPackTM Polyethylene (PE) packaging. 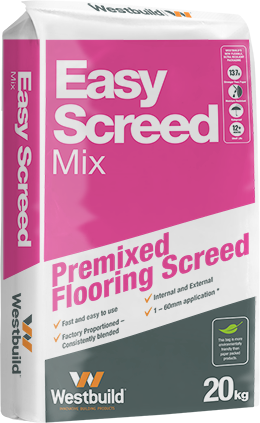 Easy Screed is a factory prepared blend of premium dried sands and general purpose cement. 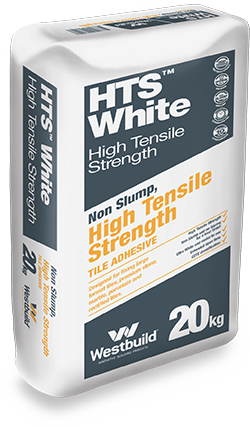 High Tensile Strength (HTS) Tile Adhesive is a cement–based, polymer-fortified wall and floor tile adhesive designed for fixing large format tiles, premium stone, marble, and porcelain tiles. 20kg bag - 56 bags per pallet (1.12t). Multi wall paper bag. Flexbond is a white product with a high polymer loading resulting in excellent bond strength and flexibility. 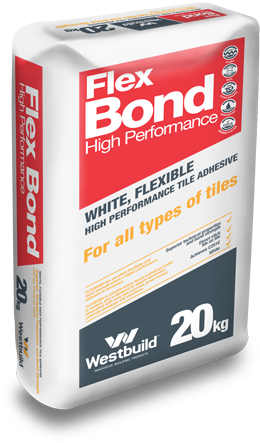 Flexbond is suitable for demanding installations, such as tile on tile, and new age concrete in both commercial or residential areas. 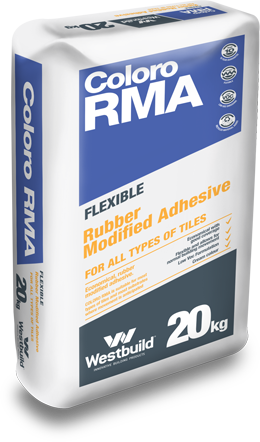 Coloro RMA is a cement-based, rubber-modified and specifically formulated adhesive. It is suited to most substrates where slight movement is anticipated. 20kg bag - 56 bags per pallet (1.2t). Multi wall paper bag. TechFlex is a tradesmans choice product with excellent technical properties and higher coverage. Suitable for most types of tiles, Tech Flex is an economical and a versatile product for everyday trade use. OdinFlex is a tradesman’s choice product with excellent technical properties, higher coverage and is suitable for most types of tiles. OdinFlex is a rubber based adhesive and a versatile product for everyday trade use. Available exclusively at Odin Ceramic Centre. 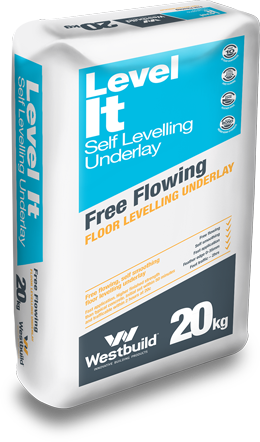 Level It is a free flowing and self smoothing underlay suitable for floor levelling and preparation prior to the installation of most type of floor coverings such as ceramic tile, vinyl or carpet. 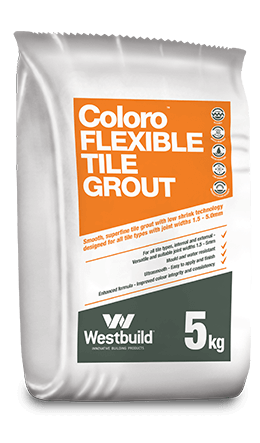 Coloro Flexible Tile Grout is a cement based, ultra-smooth grout with improved colour integrity and consistency. It is suitable for tile joint widths up to 5mm in both internal and external installations. 2kg bag - 10 bags per carton. 5kg bag - 4 bags per carton. Coloro Architectural Grout is an unsanded superfine product with improved colour integrity and consistency. Available in a wide range of architectural colours.